Today we made frost bubbles! It is hard because you have to keep the bubble from popping and you have to focus fast. 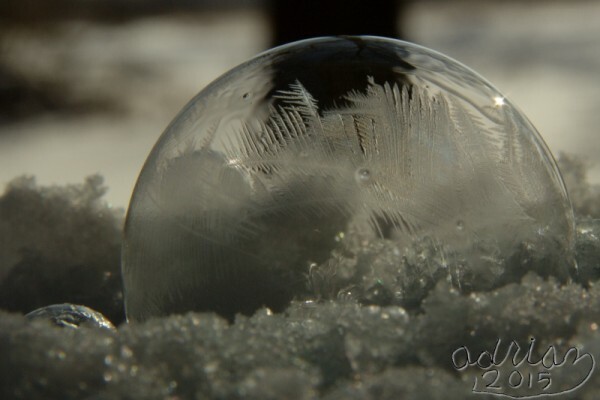 This is the first frost bubble that I ever took by myself! Then I came to “Audrey and Megan’s Restaurant” for hot chocolate and sliced apples. Beautiful frost bubble! Keep up the good work!